Dead Kings wasn’t on my list of things to do. After enjoying my time with Unity (even with its issues), I was ready to move on from the game. The story wrapped up, I felt content on where the journey ended, and I put enough time into the side content that I personally felt complete. Things obviously changed when Ubisoft made the decision to serve the added content up for free as a way of saying sorry for the very rough state in which Assassin’s Creed Unity launched. Honestly now, who am I to reject free stuff for a game that I had a good time with? Also if you’re worried, I’ll try to steer clear of spoilers considering this content takes place after the events of Unity. Your welcome. After putting time into the DLC, here are my thoughts on the experience. The full post waits for you below the jump. 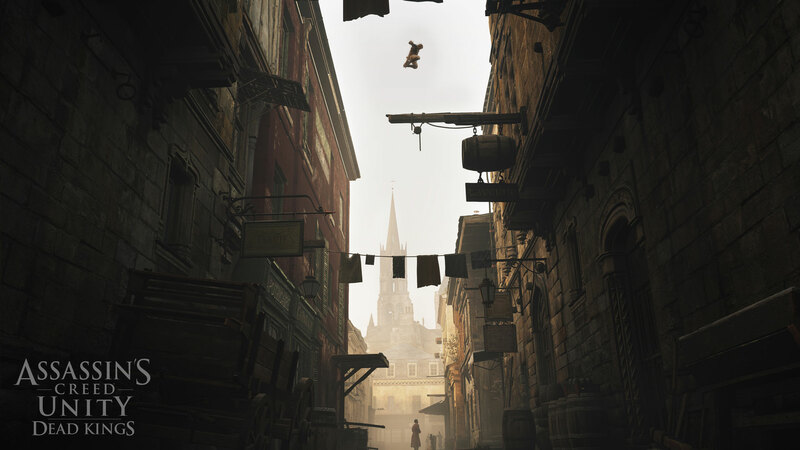 Picking up a week after the events in Unity, Dead Kings sees are main man Arno Dorian meeting up with the Marquis de Sade in the town of Saint-Denis (Franciade) to locate a valuable item in the royal tombs. Arno is promised a way out of France if he’s able to track down a certain manuscript for de Sade. 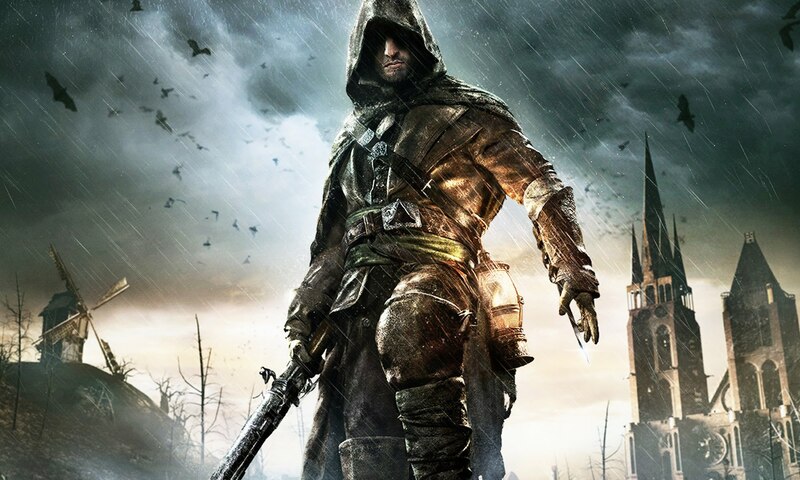 Of course, this being an Assassin’s Creed game after all, the item has gone missing and it’s up to Arno to track it down while also dealing with a new group of enemies called the Raiders and a few twists and turns along the way. Nothing is ever as easy as it seems in the Assassin’s Creed universe. If you’re at all familiar with the Assassin’s Creed franchise or have played Unity, Dead Kings will be immediately familiar as it doesn’t deviate much from the tried and true gameplay formula. While core games keep the action on the surface level, Dead Kings focuses mainly on the crypts of the Franciade so much of your time will be fighting, climbing, and solving in tighter spaces below the ground which does serve as an interesting change of pace. While much of the gameplay remains intact, the developers did add a few things to the toybox. One of the bigger additions in my opinion comes from the ‘Guillotine Gun”, a new weapon that is like holding a large axe strapped to a grenade launcher. It sounds clunky but frankly it’s something I grew to absolutely love using. It almost feels too powerful as it’s able to take down heavy guards in two swings. Not to mention the grenade launcher has a wide explosion range as well. Taking a page from Far Cry, Dead Kings introduces “outposts” into the map as well, letting players invade a heavily occupied building and clear it from hostile forces. It’s a nice gameplay addition but ultimately I don’t feel they’re as dynamic as what Far Cry presents as the guard layout remains the same so after replaying them once or twice it becomes a bit stale. Besides, certainly can’t call in an elephant to help. The DLC also adds a lantern to Arno’s tool set which can be helpful while exploring the underground crypts. You may need to use it to light dark pathways, scatter small animals like bats and rats, and even use it to solve puzzles. Thankfully these segments are kept to a minimum as I found the thing a bit finicky in execution. Clicking the left stick will activate it and you’ll also need to find what I call “oil pots” to replenish the lantern’s lighting oil. It’s more tedious than anything else, but thankfully it’s not a major part of the DLC. While the visual upgrade to the series continues to impress here especially during cut scenes and facial animations but it appears that the development team at Ubisoft Montpelier made the decision to make the game look grittier. Not that Unity would have challenged a colorful game like Sunset Overdrive in the first place, but Dead Kings looks very washed out, almost like they made the decision to have the colors muted. Saint-Denis is perpetually overcast resulting in almost a foggy type of look. Granted, the content of this DLC aligns more with this melancholy look dealing with caverns, tunnels, and the supernatural, so I can understand the decision, but for me, it does take away from the experience a little. Granted, as you progress, the sun does come out at times (kind of) which does help brighten things up a very small amount but ultimately, the color palate doesn’t deviate too much from the melancholy look of greys and browns. Then again, I guess you could interpret the surroundings and dour atmosphere as a parallel to Arno’s mood after the events of Unity. The town of Saint-Denis is a bit on the smaller side made up of three districts each marked by a big landmark: a ruined cathedral, a hilltop windmill, and a large graveyard. While the surface level is still packed with citizens and things to collect, Dead Kings invites players down into the depths of the crypts and tunnels making the map feel much bigger than it is. Sure, there’s a ton of tight hallways and corridors to navigate, Ubisoft has wisely added a number of larger areas as well because it’s here where you’ll be spending a good portion of the DLC. In these tunnels you’ll square off with a new faction called the Raiders who are pretty much made up of scavengers and looters. Individually, they’re weak but what they lack in combat prowess, they make up in numbers. Interestingly enough, if Arno can down their foreman, the rest of the group will scatter and flee in panic. This proves to be an interesting combat mechanic especially when you get surrounded. In addition to the tunnels and looters, there’s a couple of overly obtuse puzzle segments thrown in which I wasn’t a fan of due to the lack of a decent explanation on what was expected of me. For one of the puzzles, an indicator was shown on a specific section of the floor, though after thorough inspection, there was nothing to interact with at that spot. After some exploration and frustration, I found the real switch I needed to activate in a completely different location then where the game told me to go. If you’re worried about technical issues, I’m here to tell you not to be. Ubisoft has done a commendable job in fixing up the core Unity experience weeks after it released. Four patches later, the game is highly playable with the odd glitches, framerate issues, and other bugs being fixed. Dead Kings continues that trend as I haven’t noticed any issues that have a negative impact on playing the content. The only thing I’ve noticed was a body getting stuck in the environment and started to flail a little, but it was a rare occurrence. Ultimately here, this content is free so there’s really no harm in downloading it. 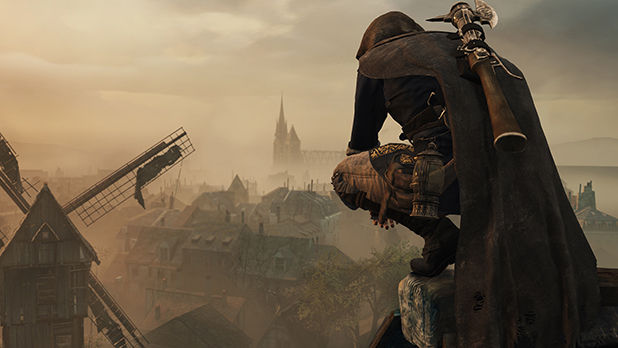 What you get out of it though will depend on your love affair with Assassin’s Creed Unity. If you had a good time with the core game then I don’t see a reason why you wouldn’t want to play Dead Kings. If you’re not a fan of Unity or are tired of the series, Dead Kings won’t do anything to change your mind. Either way, Dead Kings provides another solid reason to return to Unity especially now that the major technical issues have been resolved. Previous Post Jurassic Park 2: Should The Chaos Have Continued?